Want to try “glamping”? Otherwise known as glamorous camping. Just three miles from Totnes and less than a mile from Littlehempston lies the small hamlet of Hemsford. 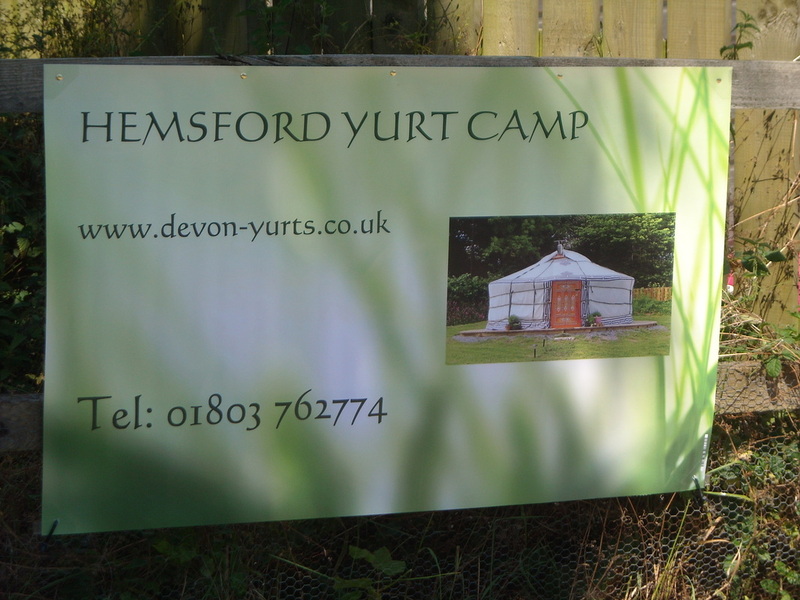 Hemsford Yurt Camp is perfectly located within the picturesque rolling Devon countryside. 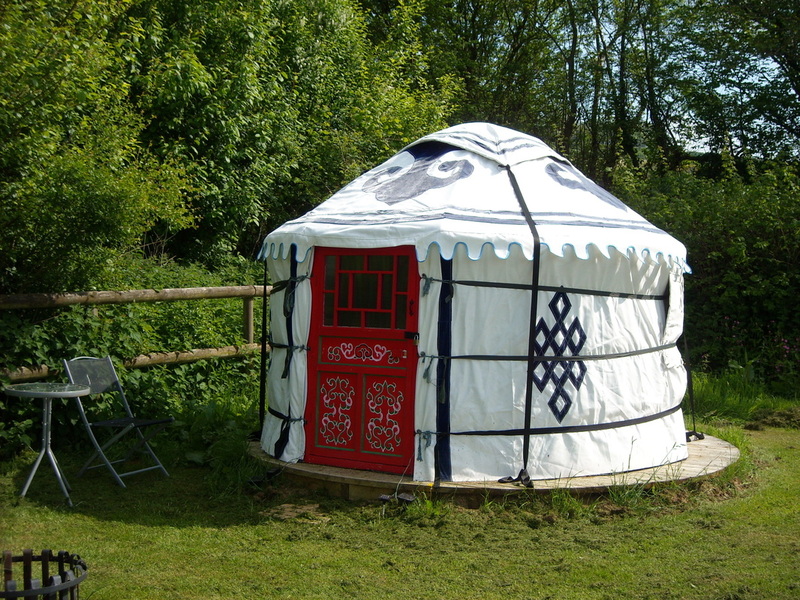 Liz and Alan Jeffery introduced the traditional authentic Mongolian Yurts to Hemsford Farm in the summer of 2012 and subsequently the holiday seasons (between March and November) have been a great success with many people enjoying a wonderful glamping holiday in our yurts and Shepherds hut. ​Our 4 yurts and our lovely cosy shepherd's hut have everything you might need for a self catering short break or longer holiday in the picturesque South Hams area of Devon. Many people often ask about the facilities - we can offer fully flushing toilets, hot showers and washrooms. The camp is off grid and has its own solar power supply. 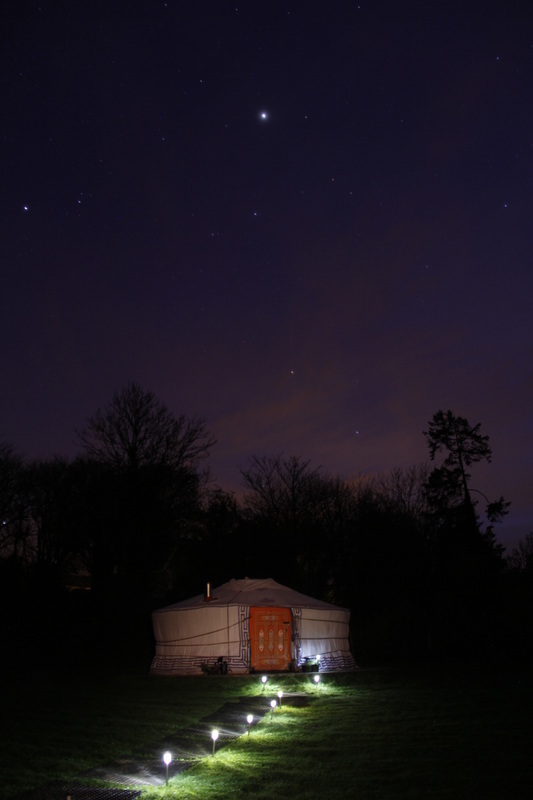 The walkways are lit by solar lights and each yurt and the hut has its own solar lighting. 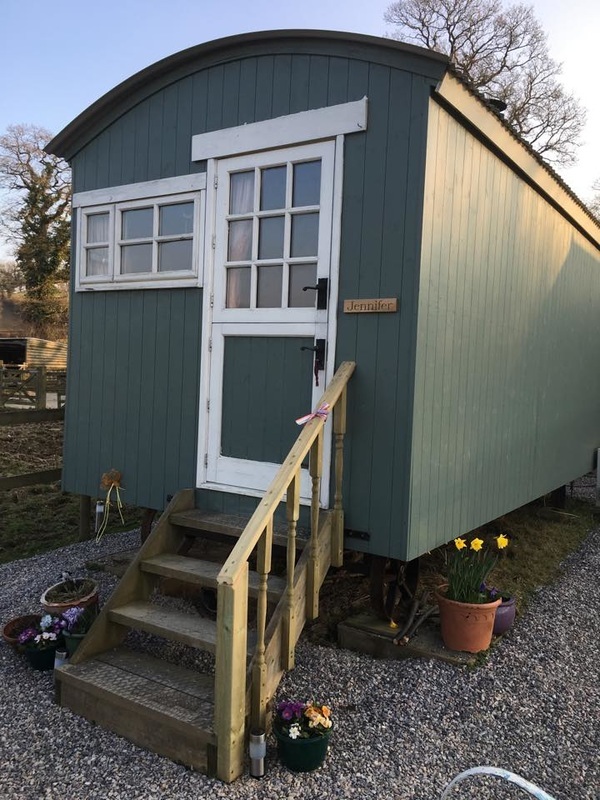 The camp has a small but well equipped kitchen with gas stoves and a dining area located in a converted stable block along with the shower, flushing toilets and washrooms. Our camp site is licensed by South Hams District Council and we are fully insured for public liability. 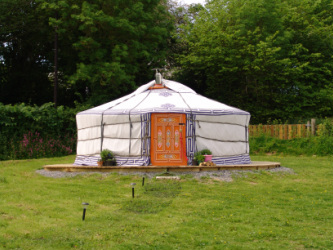 Our Yurt camp is located in the tranquil Hems Valley, near Littlehempston. 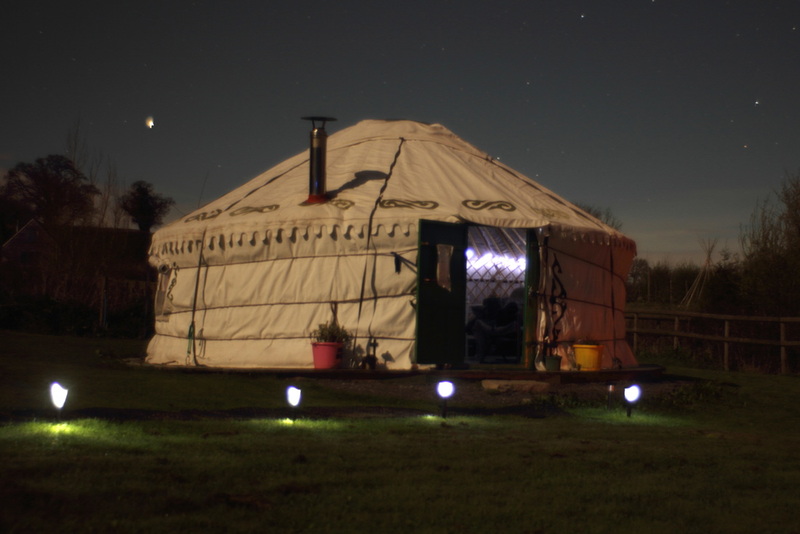 Enjoy a unique and memorable glamping holiday with a difference in an authentic Yurt. 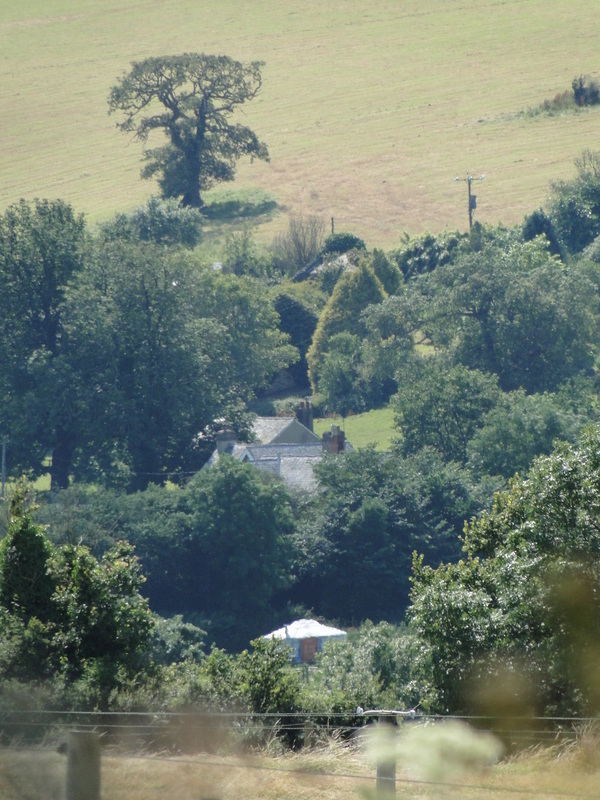 Our Yurts and hut are sited in a small 3 acre meadow overlooking the river Hems which is a small tributary to the River Dart. The river and our lake are a haven for British native species of fish, frogs, newts, and many insects. 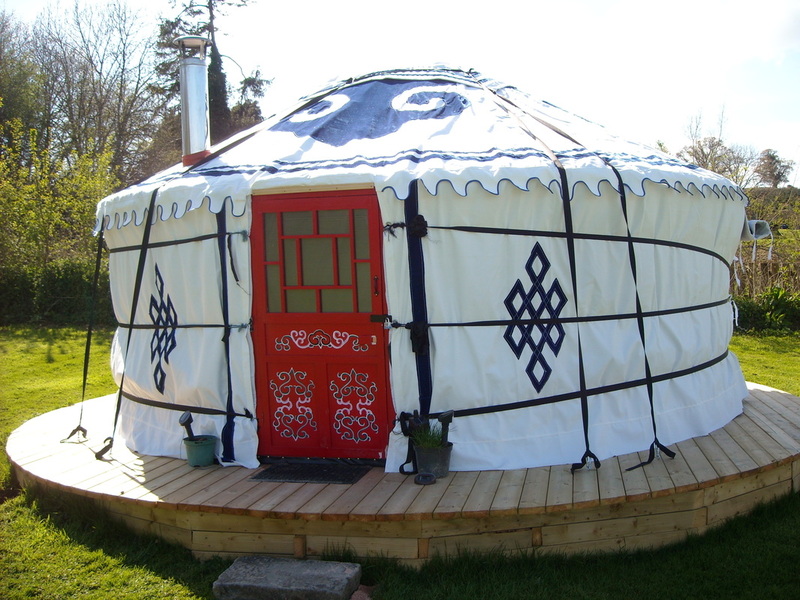 The authentic Mongolian yurts and the shepherd's hut are comfortably furnished to high standards with full sized beds with bedding provided, and wood burning stoves in the larger yurts. 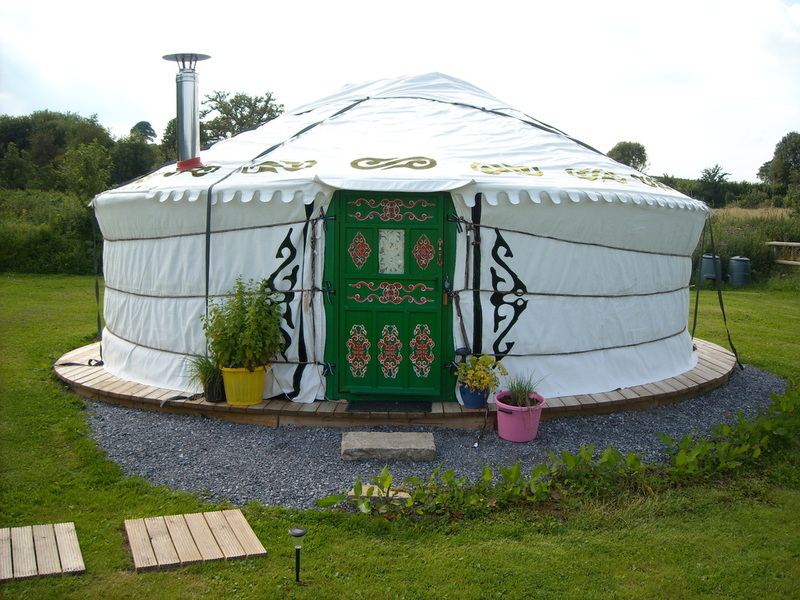 Staying in a traditional Yurt or hut is ideally suited for both families and groups or as a private retreat and for those who would like to camp in a serene and peaceful location with an unusual twist. The camp can also cater for those people looking for a unique honeymoon location, or the camp can also be used for exclusive quiet private parties. Enjoy the peace and tranquility of this beautiful private rural location. We allow small camp fires within our fire pits and provide you with a small supply of logs for your stay. The large lake in the yurt field is home to a huge number of flora and fauna, including wild ducks and geese, dragonflies, newts and pond skaters amongst the massive number of British indigenous species to be observed. There are also bats at dusk and often deer can be seen wandering the fields at dawn and dusk. Our fields are also home to our own horses and hens. There is even a feral cat, "Kitty" who has made her home at the yurt camp - Kitty has become very popular with our guests. Kitty has been joined by another feral cat "Patchy" who is very shy but has been sleeping in the barn during this winter (2017/2018). We can promise you dark skies in a glorious rural location. 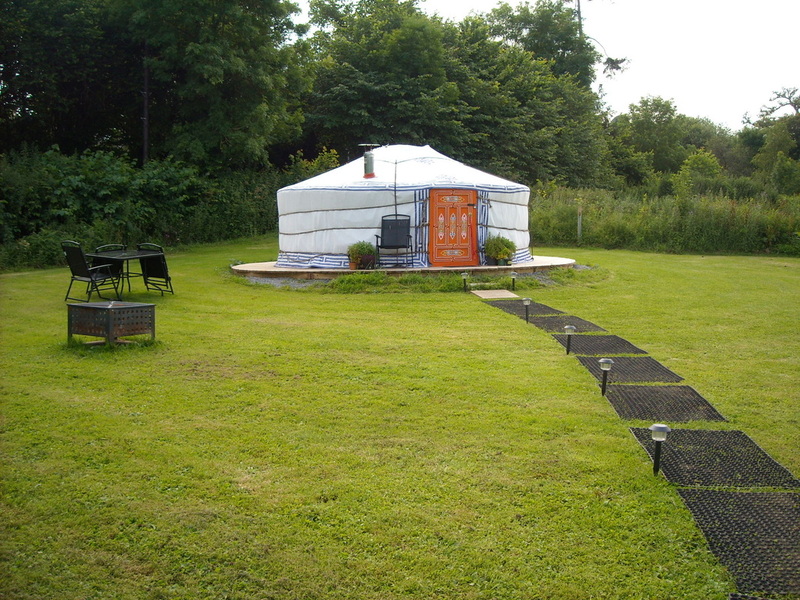 Our yurt camp is suited for those seeking quiet reflection in a peaceful yet easy accessible location. Totnes, the nearest town has weekly markets and a large selection of highly individual small shops along with the regular supermarkets and pharmacies, bars and bistros. Totnes is known for the rich diversity of people and shops within its narrow streets. Totnes has its own castle and lies on the banks of the River Dart. The nearby local villages at Broadhempston, Littlehempston and Staverton have a selection of highly popular pubs and inns with excellent food and local produce featured on their menu. A beautiful starry night in April 2013 - this picture taken by one of our guests!